Xbox 360 Reset Glitch » Brewology - PS3 PSP WII XBOX - Homebrew News, Saved Games, Downloads, and More! Yea, I know this is a few days old but with my excitement I couldn’t help spreading the news even further. Developer GliGli has released his new “reset glitch” for the Xbox 360 which, simply put, allows the user to run unsigned code (homebrew) on almost any Xbox 360 out to date with any dashboard revision. The glitch currently works with any Xbox 360 Slim, and users with the “Zephyr” and/or “Jasper” motherboards in their phat 360’s. 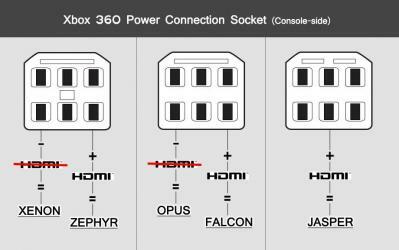 Falcon support is supposedly in the works, the glitch is not compatible with non-hdmi 360’s though (Xenon & Opus). So while you can not buy a really old non-hdmi 360 off ebay, but you can go to gamestop and buy a new Xbox 360 Slim (or any HDMI model) and start running some homebrew on it! In a really small nut shell the glitch utilizes some hardware checks during boot. The process triggers a processor glitch during start when the processor is slowed down, and instead of the 360 restarting when it notices a change in the bootloader the user is able to actually use their own bootloader, thus booting into XeLL and running some good ole fashion homebrew. The 360 is very secure software wise but luckily GliGli was able to find a hardware exploit, the key word being hardware. In order to use the reset glitch the user must solder in a Digilent C-Mod board. Luckily the boards are only $17.95 [as of this writing it was $17.95, since then Digilent won't have any in stock until Sept. 14th, and has raised the price to $22.95, and here I thought we only had ebay gougers to worry about...] through an already preestablished retailer (Digilent) so no price gouging here, so don’t be fooled by any ads on eBay that should be popping up soon. The process is relatively simple though once you get past soldering in a couple wires. Check the links below for details.